For children ages 18 months through 6 years of age we offer our SoccerKicks programs. These unique soccer skills development programs establish a solid soccer foundation in a fun way. This approach is accomplished through a series of player-centered activities. SoccerKicks runs year round in 6 - week sessions. Cost is $105*. Classes are 45 minutes long. 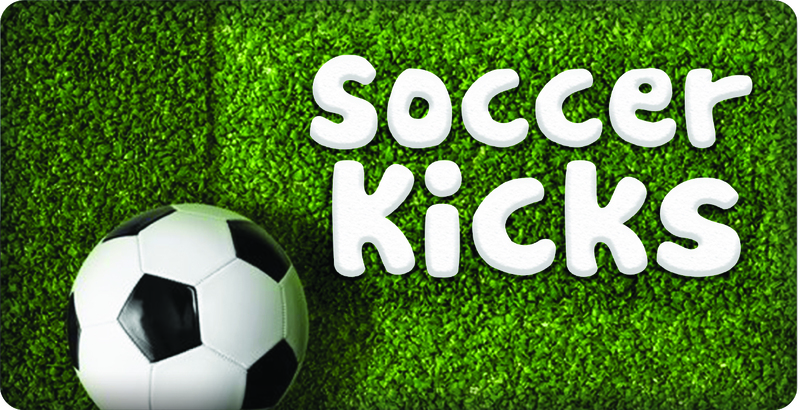 SoccerKicks uses a variety of engaging activities to promote the enjoyment of physical activity and the game of soccer. Classes are professionally designed to develop motor skills, physical fitness and create self confidence. Instructor to student ratio is kept small to maximize individual development.